PU413 Self- Extinguishing Casting Polyurethane Slightly flexible, especially designed for potting transformers for high voltage security fencing. Black ..
A casting polyurethane resin with "re-entrable" properties which results in a soft polymer easy to break. Used to seal and encapsulate telekom cables and electronic circuits which require the removal of the potting resin for easy repair. Flame-retardant (FV2). A self-extinguishing version (FV0) v.. This is a self-extinguishing casting PU, easy to re-enter, and tested by the SABS as FV0. Designed to seal and insulate high voltage couplers in Coal Mining applications. 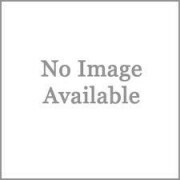 Properties: Flexible and soft Long pot life (from 20 to 40 minutes) Low heat generation Packed in squ..
TechnoJoint Rigid Cable Systems Tek130W white with Tek113B is a FV0 self-extinguishing epoxy system used for cable jointing. SABS tested for flamability. This is the main epoxy system used by the mining industry. Mould Sizes available: Kit selection Guide ..
TEK140 PU Resin Price per Unit (piece): Call for Pricing Ask a question about this product TechnoJoint Cable Systems TEK140 Polyurethane Casting Resin used for electronic and electrical potting and cable jointing. Hard, rigid and tough elastic system. 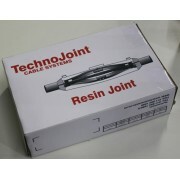 Packed in squ..
TechnoJoint Cable Systems Telkom approved blocking resin TEK356. Clear (amber), slow curing, very tough. Used also for potting electrical circuits and clear cable jointing. Low exotherm temperature. ..